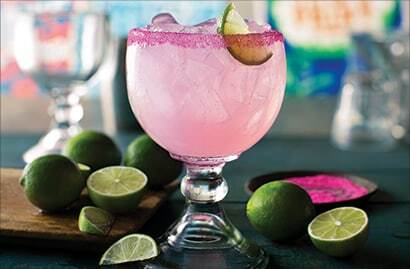 INTRODUCING OUR NEW 5 Buck Half-Moon ‘Rita. LIMITED TIME ONLY Melon Rum Punch. LIMITED TIME ONLY 5 BUCK ELECTRIC LEMONADE. A refreshingly frozen blend of blue curacao, lemonade and Tito’s Handmade Vodka. We’re buzzed about it. Feisty Version of a Long Island Iced Tea. Amp Up Your Roadhouse Tea with Everclear for $1! BEER ON TAPNOW SERVING LOCAL BEER! *Selections and pricing vary by location.